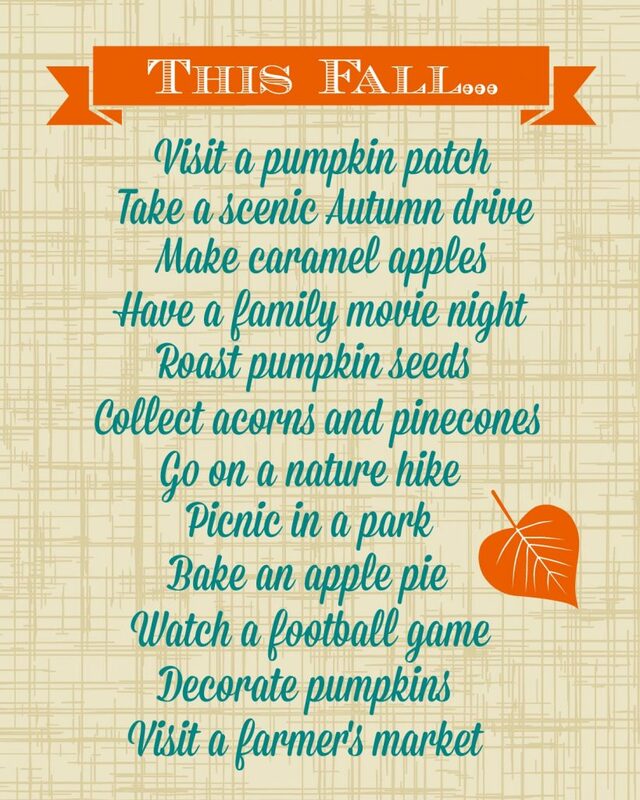 Print out this Fall Fun List then get busy checking everything off the list. This is the 13th printable in the 31 Days of Free Printables series. Our family loves doing activities that center around the seasons or holidays. I helps us celebrate and also have fun together as a family. I usually just write the activities on a chalkboard or wipe board, but this time I made a printable. Print it out or use it for ideas to create your own Fun List. Enjoy the season!